'Filkina Gramota' Филькина грамота (Viktor Sholupov, R. 2003). Seedling# 148-1. TB, 39" (100 cm), Midseason late bloom. Heavily ruffled light blue, falls with lighter center; beards light to bright yellow, light blue at end. 'Delta Blues' X 'Mediterrano'. Sholupov 2004. 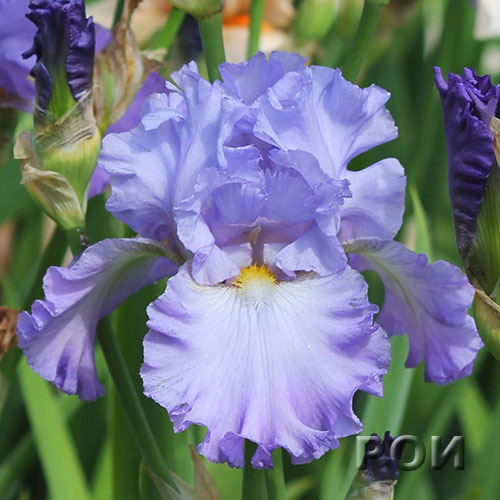 First place winner of Kuban Iris Competition-2006 (Krasnodar, Russia).